Internationalization of Higher Education in East Asia critically examines and provides comparative perspectives on the major strategies that selected Asian countries and societies have adopted to transform their higher education sector and enhance their national competitiveness in the increasingly globalized world. 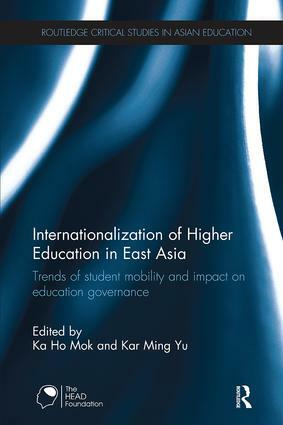 This volume by leading scholars in the field of education development and policy studies makes critical reflections on how Asian governments in particular and universities in general have responded to the growing challenges of globalization by promoting more internationalization, student mobility and entrepreneurship in higher education. This book is an essential collection for policy makers, researchers and postgraduate students studying higher education, Asian education and international education.